An escaped cannibal, a family curse...and Reginald Worcester turning up on the doorstep. Could things get any worse for the Baskerville-Smythe family? As the bodies pile up, only a detective with a rare brain - and Reggie's is so rare it's positively endangered - can even hope to solve the case. 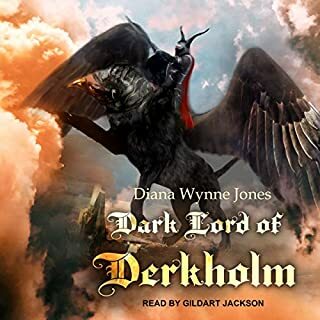 But...there is the small matter that most of the guests aren't who they say they are, the main suspect has cloven feet, and a strange mist hangs over great Grimdark Mire. Luckily, the young master has Reeves, his automaton valet, and Emmeline, his suffragette fiancée, on hand to assist. 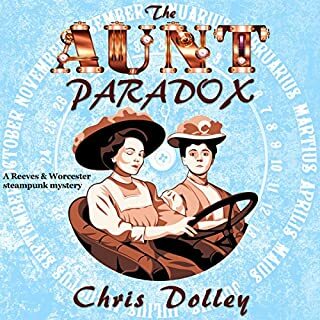 This novel is the fifth Reeves & Worcester Steampunk mystery and is set a few months after The Aunt Paradox. The first four mysteries appear in the collection, What Ho, Automata. This made me laugh, as is usual with Bertie & Jeeves, and captivated as I listened for resolution of the familiar mystery(s). Well written, imaginative, and witty, and the performance was impeccable. An amusing mixture of Sherlock Holmes, Isaac Asimov and P.G. Wodehouse with hints of Shakespeare, Oscar Wilde and Poe. 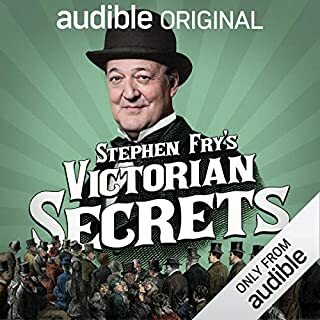 Would Wodehouse be spinning in his grave or rolling on the floor in hearty laughter while listening to this loving steampunk tribute to his mastery of the Servant/Master class farces which entertained his audiences a century ago? Enhanced by Paul J. 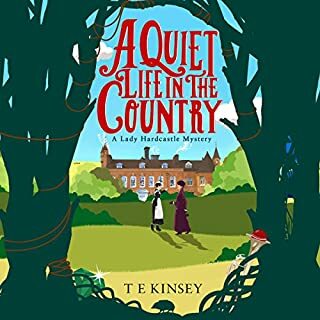 Rose's delightful narration, author Chris Dolley's twisted tale of mires and manors and the nascent motion picture industry includes a cleverly created whodunnit you will enjoy solving. An interesting fact to point out at the outset, is that the author has combined genres to make for an interesting story. A little Frankenstein and a little Agatha Christie combine for a surprisingly funny murder mystery. Though I personally find the protagonist to be a bit annoying (we’ve all known people like this) and the cover art a little creepy, the book was enjoyable with twists and turns that are fun, albeit a bit confusing at times, to follow. The reader did an excellent job engaging multiple, unique voices to really imbibe the story with personality. Very entertaining! Always listen to your butler!!! 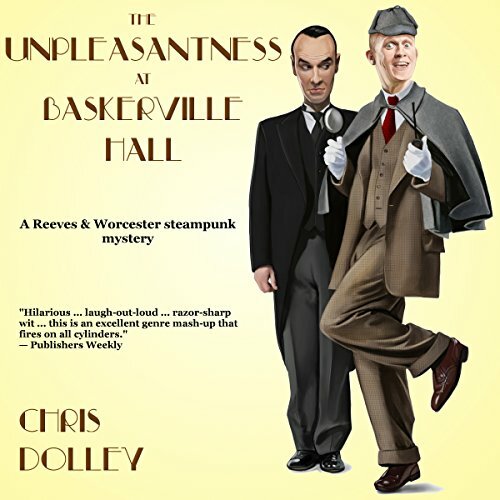 What did you love best about The Unpleasantness at Baskerville Hall? I thoroughly enjoyed Reggie's ways of thinking. I just loved Reggie. He's just too funny. Have you listened to any of Paul J. Rose’s other performances before? How does this one compare? No I haven't but would like to. Yes and I did, well if you discount a bit of pausing here and there for the kids. I loved the way the story read. I had a smile on my face from beginning to end. It is a great lighthearted listen. 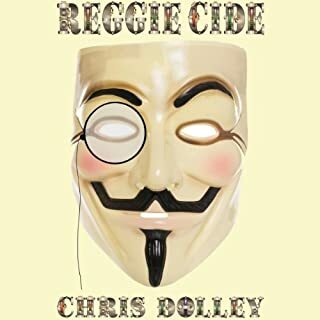 Chris Dolley definitely wrote a very entertaining tale . 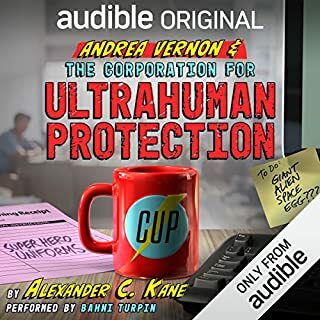 If you want an audio book which is fun to listen to and will help lighten up your day, then you really need to give this book a chance!